Essential Delay and modulation sounds? Discussion in 'Effects, Pedals, Strings & Things' started by Justreleased09, May 7, 2016. I am trying to get serious about putting my pedal board together. I have been playing in a live karaoke band and doing sub gigs and haven't really put much thought into effects. There is no setlist for either situation, so I want to set my pedalboard up to cover all the essential modulation and delays sounds that one would need. I was wonder what you guys consider the basic sounds as far as either go? If you're already playing the gig, why not write up the most popular songs, and have a listen to 'em and see what you want/need? Your situation will be different to most people here. Only you will know what effects will work best and cover the most ground, considering the songs you play. Yeah, this one is pretty wide open... I'm guessing the usually characters, clean boost, light OD, OD with more saturation, a TS variant, delay that can cover slapback and longer delay tones. Then any modulation of your choice I suppose. You should be totally fine with the basic boss/tc offerings. Look into their delays, chorusses. They are affordable and sound great. MattLeFevers and Kestrel like this. Here's what I'd do - Wampler Ego compressor, Barber Gain Changer, Dr Scientist The Elements, Mobius, Timeline, Stereo Wet. Surely there is no sound you couldn't easily get with that? delay (something with Tap Tempo and a dotted 8th setting is helpful...I love the Tech 21 DLA in band like this..something where all the controls are right in front of you). If you are a strat player, a compressor. The Source Audio Orbital is a good sub for the Mobius, and a lot cheaper. But not as deep/fully featured. For what the Mobius can do, it's actually a steal. Personally, I dont think a reverb is necessary for a gig like this at all. Get a used TC Nova system..will cover all the bases ( including dirt ) in the $250 range.. The OP wants to get the basics covered. No need to go all hoity-toity with pretentious boutique pedals. MXR, Boss, Ibanez, and a few others would be the practical way to go for gig worthy pedals. They're easy to find, they're reliable and effective. Depending on your budget you may even want to consider a multi-effects unit which will pretty much cover all you need as far as modulation and delays go. 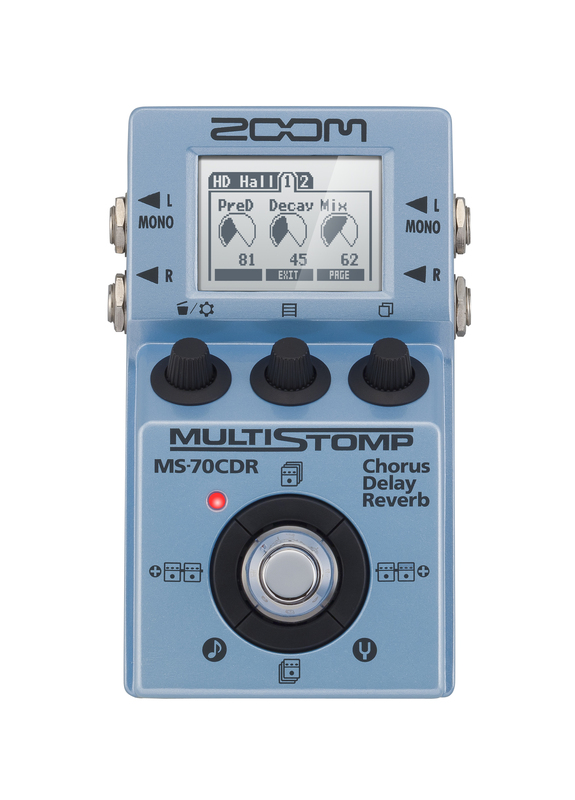 You could cover a lot of ground with an Ibanez Tube Screamer and a Zoom MS-70CDR (for example). Onemileguy and MattLeFevers like this. Delay-wise, a TC Electronic Flashback or a Boss DD-7 would be a good entry level delay capable of many different sounds for a band like that. If it weren't for needing tap tempo, I'd probably still be using the Flashback for most everything, and my genres require delay above everything else. All your EQ, pitch, mod, delay and reverb in one little affordable box. In any combo/order you want. KnowTalent, Onemileguy and Kestrel like this.